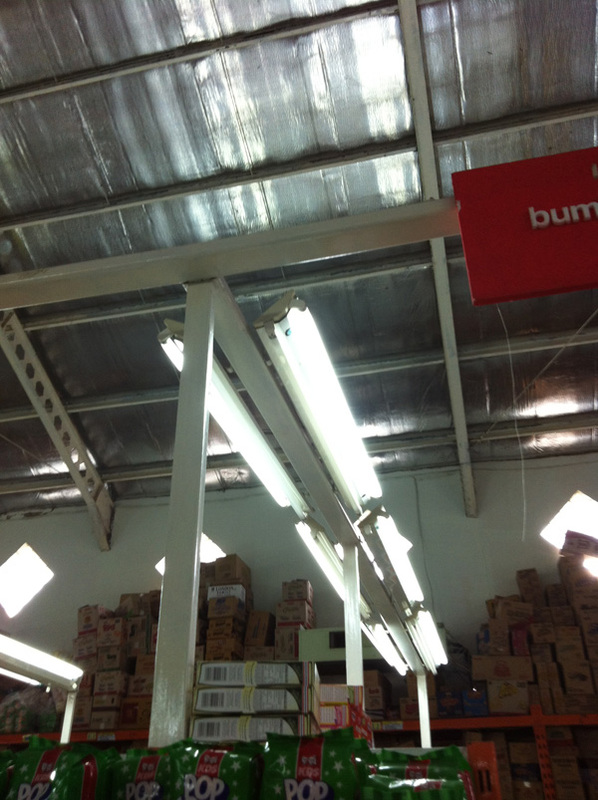 The purpose of using this lighting system on the store (shown on photo) is absolutely for highlight the products that displayed and also for general lighting at the store. 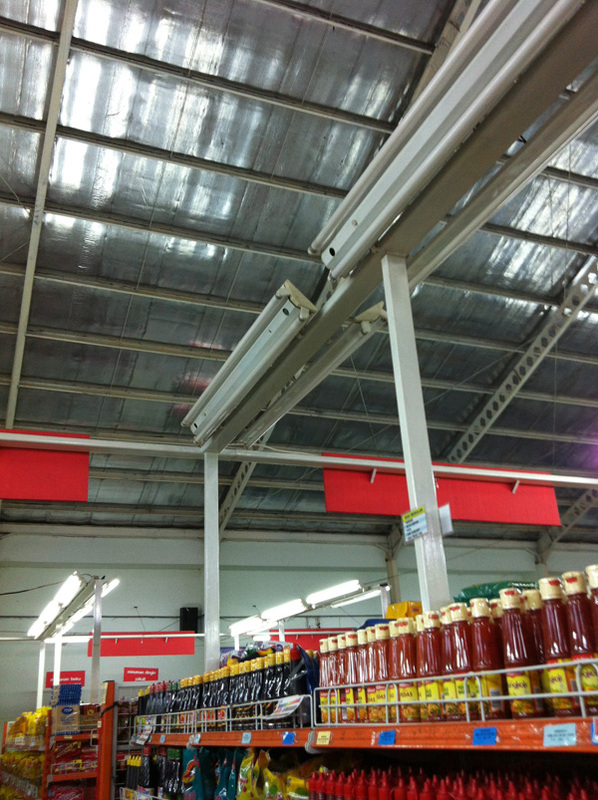 Without using reflector, they want achieves more light and create brighter store. But, I think they are forget that most of lighting that produce by lamps are used to highlight the ceiling and transferred to roof. So it will useless. 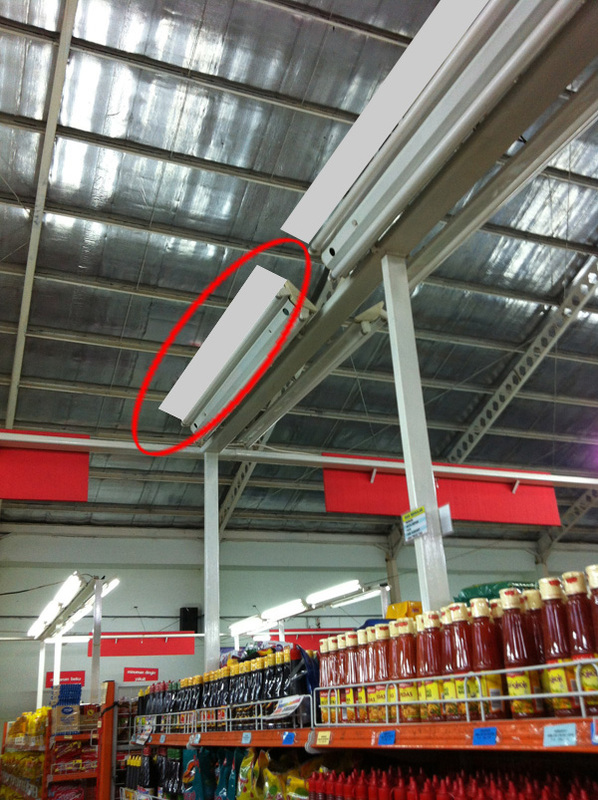 They bought lighting system to highlight product, not for roof or ceiling. They spend money to pay the electricity, but the result is more light are wasted on roof. Simple solution can be used for this matter. They can use simple reflector. It can be made from metal-sheet, acrylic or plastic, as long as it can be used to reflect the upper light from luminaire. 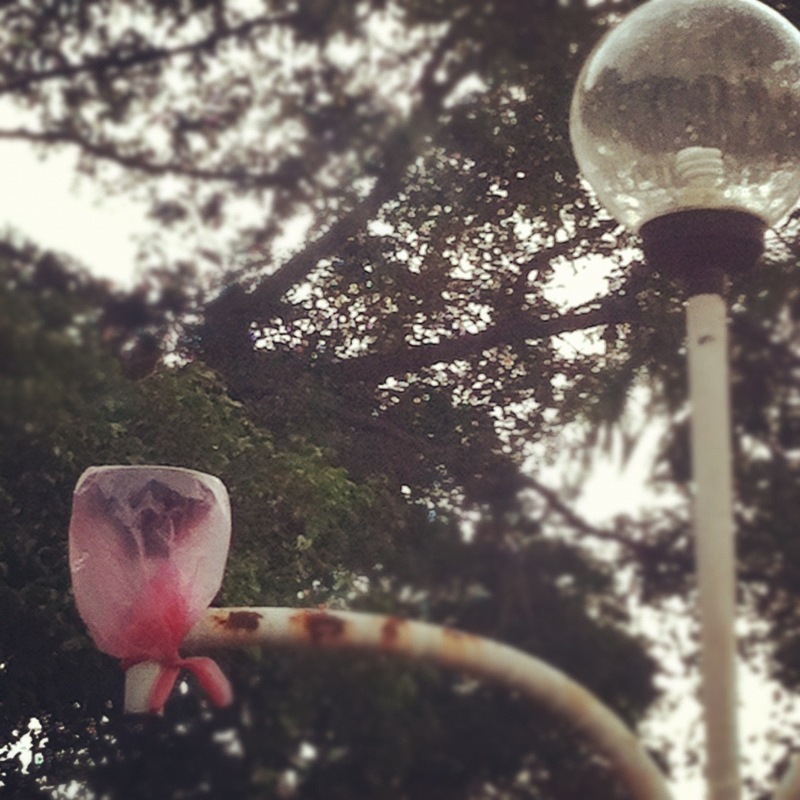 This photo taken from one of Government building in Bekasi, at the parking area.